By now you've probably heard some buzz about the new movie coming out on Mother's Day weekend. 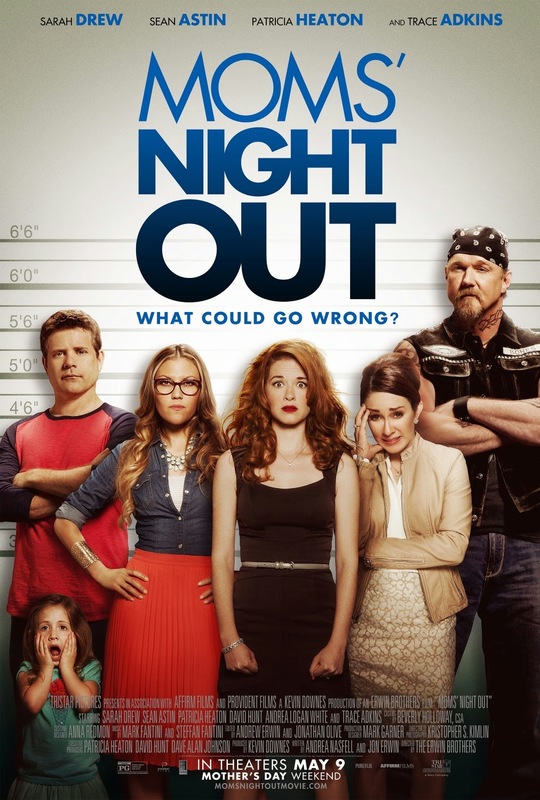 Moms Night Out is a hilarious look at the everyday chaos/blessings of motherhood. It's a story of a group of moms that just need a little break, but what happens instead makes for one interesting night out. Here's the star of the show, Sarah Drew to give you a little peak into something they've cooked up for you . . . the mom who needs a break! So are you interested? I know we are! You can enter for your chance to win with the Rafflecopter form below. We'll be holding our breath for all of us. If you're the winner don't forget to give us a shout out so we can brag that we know you! I would so love to win this!!! I saw a special showing of the movie last week and I'm still laughing about it!!!! Can't wait to see it again Mother's Day weekend!!! We're right there with you! The movie was fabulous and to win the trip would be over the top fun!! !